The cold interior of Western Canada east of the Continental Divide has one of the world's most extreme and variable climates and is experiencing rapid environmental change. In a region that includes a multiplicity of globally important natural resources, climatic change is altering the land, vegetation, and water. There is an urgent need to understand the nature of these changes, and to develop the improved modelling tools needed to manage uncertain futures. 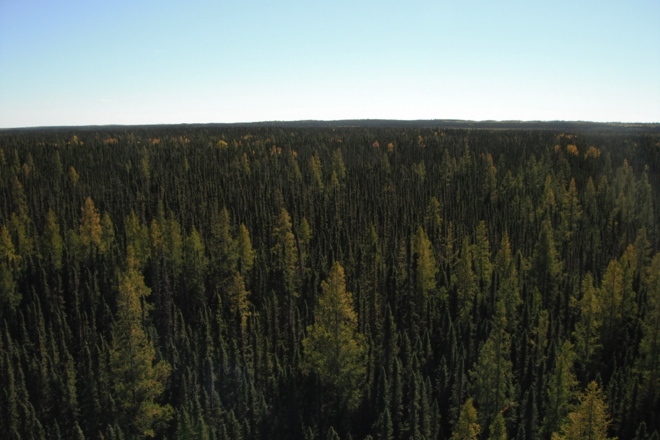 The long-term goal of this research is to understand how disturbance and climate change may interact to drive future changes in boreal ecosystems. 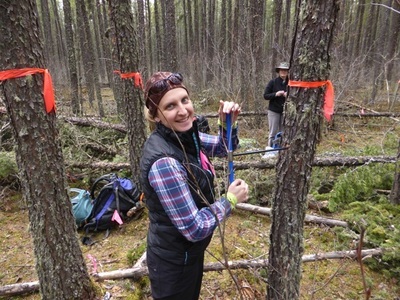 We are currently conducting research to understand how interactions between climate, topography, disturbance, vegetation dynamics, and hydrology determine spatiotemporal patterns of boreal forest communities. 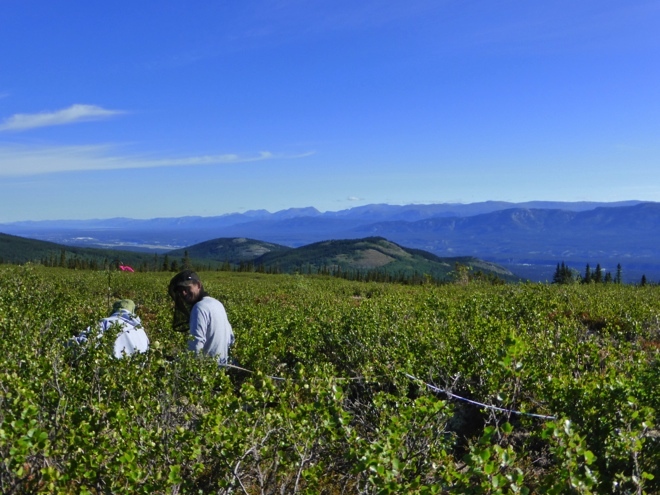 Study sites are located within the Wolf Creek Research Basin, southwest of Whitehorse, Yukon, and within the Boreal Ecosystem Research and Monitoring Sites (BERMS) in central Saskatchewan. 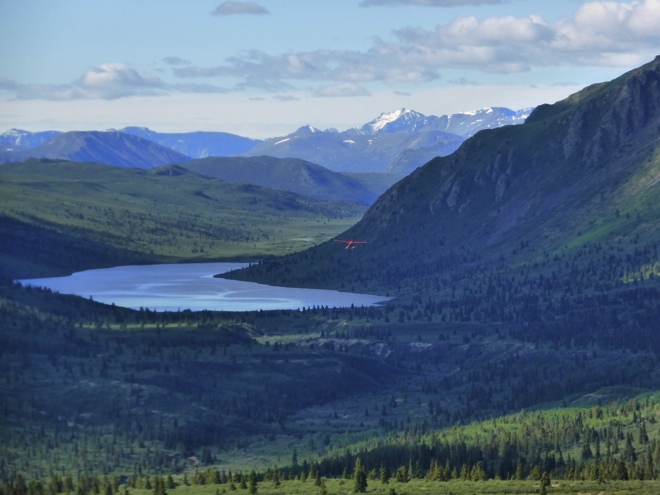 This research is currently being supported by funding from the Global Institute for Water Security (GIWS) and represents a collaborative effort with the Changing Cold Regions Network (CCRN). A floatplane approaches Coal Lake, the headwaters for Wolf Creek, YK. 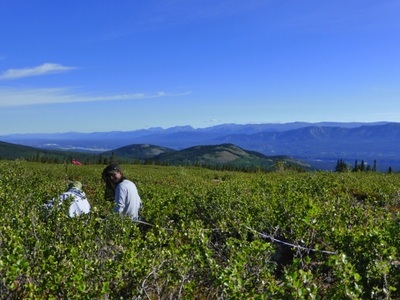 Bertrand Charry and Jennifer Bernard measuring shrub canopy structure at Wolf Creek, YK. Megan Horachek cores a jack pine tree for isotopic analysis under the watchful eye of our fearless leader Jill Johnstone. Samples were collected near the Old Jack Pine BERMS flux tower. 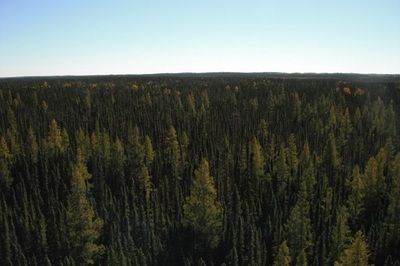 Black spruce and tamarack canopy as observed from the Old Black Spruce BERMS flux tower northeast of Prince Albert, SK.